This week we are holding onto tomatoes for a little longer by making sauce to have through the winter! We are roasting up root vegetables and eggplant (to use as toast! 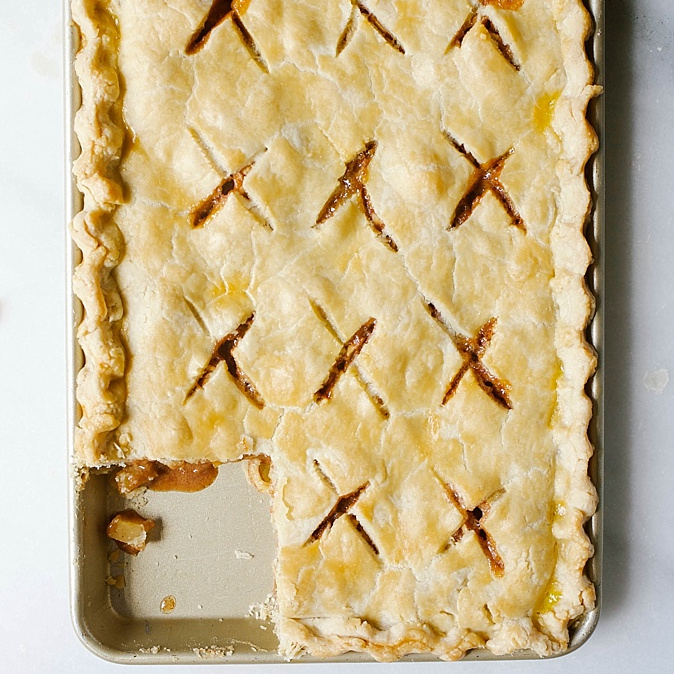 ), and baking apple pie with the overflowing bushels from apple picking. We are also making gin cocktails with fresh beet juice since it seemed about time to put away the watermelon mojitos. 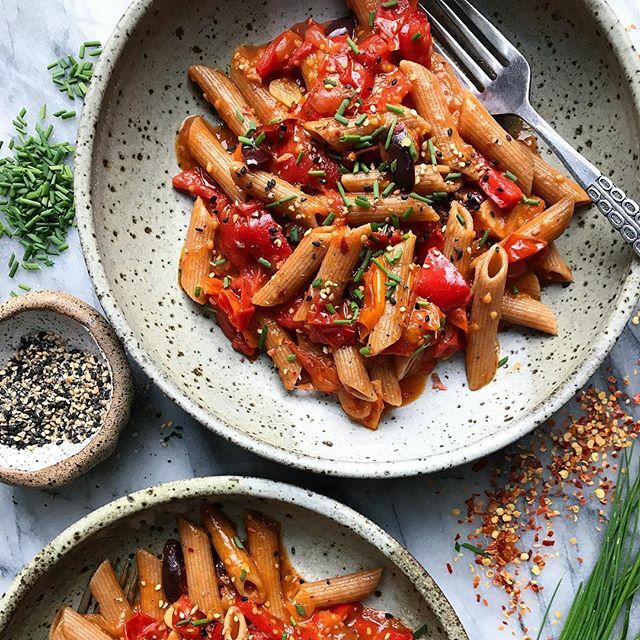 We suggest using the optional anchovy in this sauce for added flavor! 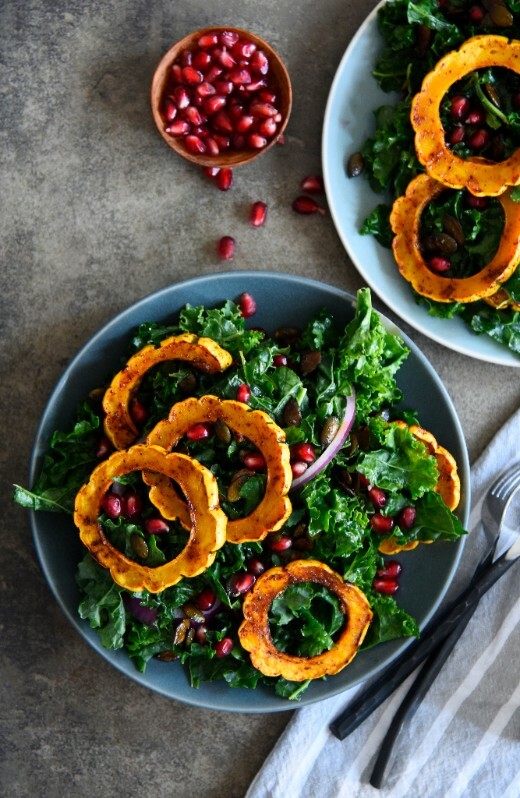 Kale salad with a fall twist! Caramel and apples are a match made in heaven! 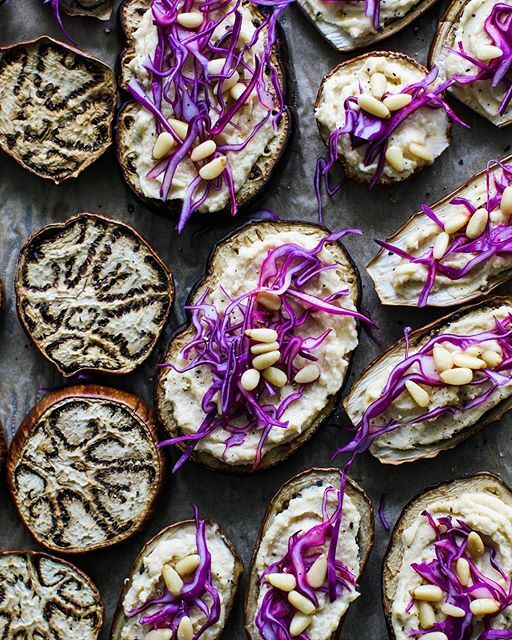 Slice and bake eggplant rounds to use as toast! 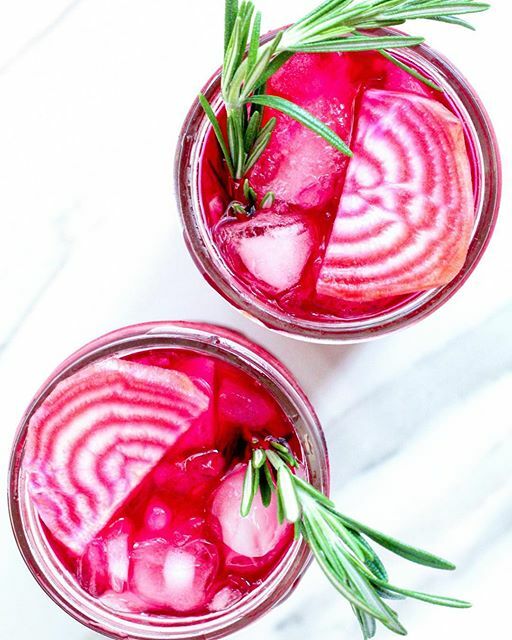 Juice your beets to make this fresh seasonal cocktail!